Taxi in Halkidiki has a name: PrimeTaxi. 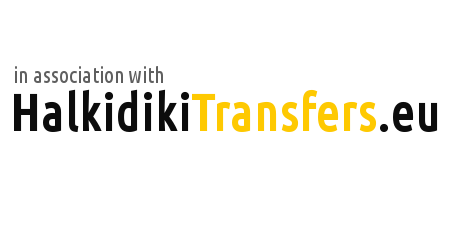 Looking for taxi in Halkidiki? Or maybe are you looking for something more than just a taxi? Are you fond of luxury and looking for a comfortable, fast and safe taxi for your travels? Meet PrimeTaxi now and forget everything else you knew until today for taxis! Free connection to the internet, iPad, TV and multi-zoneclimate control, are some of the unique services we offer in our luxury vehicle. Book one of the tour packages that we offer and explore the beauties of Halkidiki in the best way! PrimeTaxi was founded in 2013 in order to provide quality taxi services in Halkidiki. Experienced drivers, combined with the latest technology vehicle type Mercedes-Benz E Class, guarantee you a comfortable, fast and safe transportation to your destination, without delays and painful waiting. Our main concern is to provide high quality services to our customers and the ultimate response to their needs, using the latest technologies in the automotive. Providing a variety of innovative services and a superior quality vehicle, PrimeTaxi rightfully holds the title of the most luxurious taxis in the area of ​​Halkidiki. Passengers of the E-Class are hosted in absolute comfortness, the lounge of the car is from white leather, while the excellent soundproofing, which essentially isolates them from external noise, offers a truly memorable travel experience. The two latest-generation iPad in the back lounge of the vehicle have constant internet connection, offering our customers unlimited possibilities of entertainment and information, making your trip more fun and productive than ever.